PVCu Conservatories in White, Anthracite Grey, English Oak, Rosewood, Mahogany, Cream, Ivory, Black, Light Grey & Chartwell Green Woodgrain Foil Finishes. 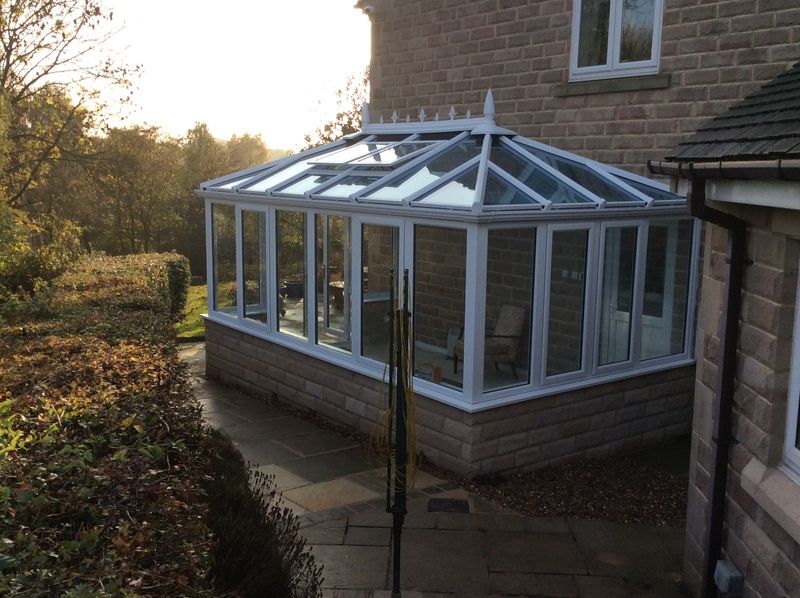 All bespoke conservatories are manufactured from our unique profile to give the most aesthetically pleasing design on the market today. This profile gives the appearance of a timber window with smooth and low sight lines not normally associated with PVCu windows and doors. Ask about our more traditional construction methods that enhance this appearance.